Welcome! My name is Michaela. I’m a 7th generation dairy farmer living in Western New York. Along with our 400 cows, I raise a flock of laying hens, several hogs, a Polish rabbit named Oreo, and an impish miniature horse named Lucky. I’m a recent home-school graduate and the big sister to seven mischievous wonderful siblings. I enjoy working in the barn, public speaking, Civil War reenacting, and reading. If I have any free time you’ll usually find me working on a knitting or sewing project. One day I aspire to thru hike the Appalachian Trail and live for (at least) a year without electricity. Thanks for stopping by! Great start Mike! Mr and Mrs McGarry will follow you for news. Good luck. Your site looks great. I look forward to reading your posts. I am really proud of you. Farming needs more positive publicity and your blog is just what our youth and young adults need to read. I recently read where for every farmer under 25 years old today there are five farmers over 75 years old. This country is headed for disaster if we don’t get more young people interested in farming. Keep up the good work. I went to your Pinterest page as well and noticed that you have CdVs from my other blog (Earthly Angels). What a small world! Mrs. G., thank you so much for commenting! It is a small world, isn’t it? I looked up your blog and had a wonderful time scrolling through your archives. Your sewing is beautiful and you have such a lovely family! Hey! 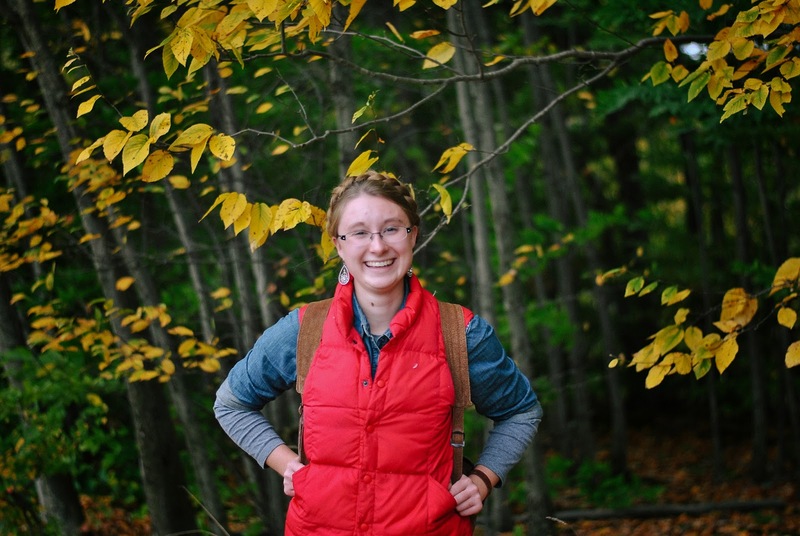 I just found your blog through Emily Ann’s and am super excited to meet another homeschool graduate interested in hiking and the classics. Also, the fact that you are a dairy farmer is just overwhelmingly cool. I’m a suburb girl who has dreamt of living on a farm my whole life, so you are an inspiration. Nice blog! I’m so glad you found my blog Susanna! It’s great to meet you too. If you ever have any questions about life on the farm just let me know!